Kathleen Nolin is an intern with Samaritan’s Purse in Niger. The sky was brown, the sun hot, and the air gritty as the water, sanitation, and hygiene team approached the little school in the faraway mud-brick village. The first two classrooms were sparsely filled with children attentively focused on their teachers’ lessons. In the last classroom, a half circle of women sat listening to two ladies in the front. The women were proud of their lessons in sanitation and hygiene, which they would carry back to their students waiting in the surrounding villages. This knowledge could keep their children from dying too early, and it wouldn’t have been possible without the two women patiently teaching them at the front. Children in Niger often die from preventable diseases. Samaritan’s Purse is teaching women how they can help keep their children clean and healthy. I recently had the pleasure of talking with one of the ladies teaching the group of women. Hannatou serves with Samaritan’s Purse as a water, sanitation, and hygiene educator. She was born and raised in a Christian family and finished high school—two exceedingly rare opportunities for Nigeriens. Her childhood was full of happy memories, but the opportunities she had growing up made her acutely aware of the lack of opportunity for many around her. 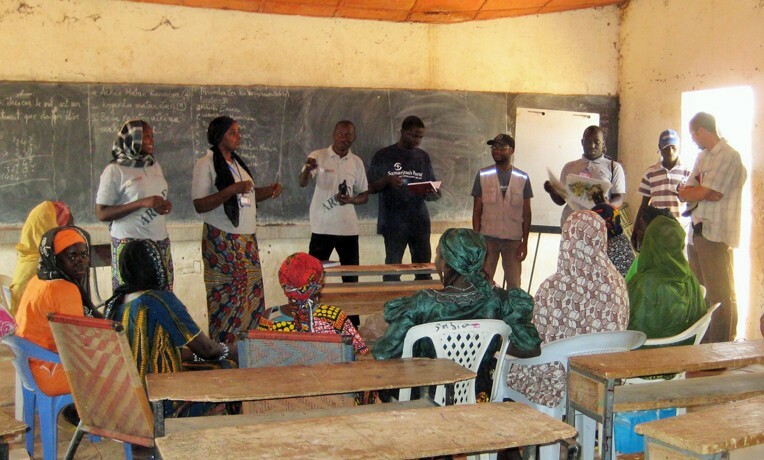 After high school, this awareness grew into action as Hannatou began working for organizations in Niger. However, it wasn’t until she came to work for Samaritan’s Purse that she saw how physical and spiritual transformations in her community could be realized. Hannatou has helped train community members on better health and hygiene, giving children an opportunity to live into adulthood. Hannatou also sees the difference among the communities where she works. She travels via motorbike on long and dangerous treks to reach people. One of her favorite stories is of a small child who recognized Hannatou’s motorbike approaching from far away. “Wash me, mama! Hannatou is here!” he said to his mother. This excitement and hope, stemming from a newfound understanding of hygiene that Hannatou is bringing to many villages in her area, doesn’t stop with the women she teaches weekly. These village women are teaching the lessons to their children, ensuring the vicious effects of poor hygiene and sanitation don’t affect generations of Nigeriens to come.